Home / Bible Questions / Hell / What is hell like? Before looking at hell and eternal suffering, it is important to get a solid understanding of who God is as well as His character. Who was hell created for? Will the fires of hell burn forever? Additionally, 2 Peter 3:9 states that God is merciful to us, not wanting even one single person to die, but that each person would come to repentance. God’s love for humans is everlasting, so how could God torture people forever and yet still love them forever? This just doesn’t make sense. So where does the doctrine of an eternally burning hell come from? How can eternal torture be compatible with a God of love? In Matthew 25:41 the Bible says, "Depart from Me, you cursed, into the everlasting fire prepared for the devil and his angels.” On the other hand, Matthew 25:33-34 points out that those who choose Christ will “inherit the kingdom prepared for you from the foundation of the world.” The original purpose of hell and its fire was for the ultimate destruction of Satan, sin, and his angels. Only after this cleaning of fire can all the tears be wiped from the eyes of the saved. Is hell burning right now in the center of the earth? Many people ask, "Are there people suffering in hell right now?" Job 21:30-32 gives us a picture about hell and when its fires will burn. Job says, "For the wicked are reserved for the day of doom; they shall be brought out on the day of wrath.” This text along with 2 Peter 3:7 shows that hell is not burning now, but at some date in the future the wicked are reserved and brought forth out of their graves for the day of wrath. John 5:28-29 also conveys the same message, “Do not marvel at this; for the hour is coming in which all who are in the graves will hear His voice and come forth—those who have done good, to the resurrection of life, and those who have done evil, to the resurrection of condemnation.” Again this outlines that the hour is coming in the future, but is not yet, when final condemnation and destruction happens. You can rest assured, that right now, at this moment, not one person is burning in hellfire. Are people suffering in hell right now? How does a future date of hell show a loving God? Imagine if a man committed adultery thousands of years ago during the time of David. That man never repented and went down the wrong path. Now think about a man who just yesterday also committed the same sin. Would it be fair for the first man to be punished thousands of years more than the man caught in adultery yesterday? How would this be fair? The answer lies in the fact that both men are reserved for judgement (Job 21:30-32 & 2 Peter 3:7). Each man will be punished beginning at the exact same time. No, the Devil is not in charge of hell, but is actually thrown into the the lake of fire or hell according to Revelation 20:10. Satan is not the one who sends down the hellfire upon the wicked who surround the camp and the beloved city. If the Devil was in charge, he could keep himself out of the lake of fire and its consequences. What happens to the wicked in hell? This may surprise you, but the Bible says in several places that the wicked will be burned up and completely destroyed in hellfire. You heard right, the wicked will not burn forever. Malachi 4:1-5 says that on the day of the Lord, “'All the proud, yes, all who do wickedly will be stubble. And the day which is coming shall burn them up,' Says the Lord of hosts, 'That will leave them neither root nor branch’...You shall trample the wicked, for they shall be ashes under the soles of your feet.” Psalms 37:10, 20 also states that the wicked will be no more, they will be carefully looked for but not found. Verse 20 adds that the enemies of the Lord will die and vanish away into smoke. All that is left of the wicked is smoke and ashes, there will not be any part of them left to be tortured forever. All wickedness will be removed from the earth. The root (Satan) as well as the branches (his followers) will become ashes with no more life left in them. Often it is just as important to see what is NOT written in the Bible as it is to discover what IS written in the Bible. In Romans 6:23, the Bible says that the wages of sin is death. The Bible does not say that the wages of sin is eternal punishment. Also take a look at John 3:16 which says, "For God so loved the world that He gave His only begotten Son, that whoever believes in Him should not perish but have everlasting life.” This verse talks about two options. One option is to perish, which means to disappear or be destroyed: to cease to exist. The other option is everlasting life. Neither of these two verses talk about everlasting torment. Will the fires of hell go out or burn forever? 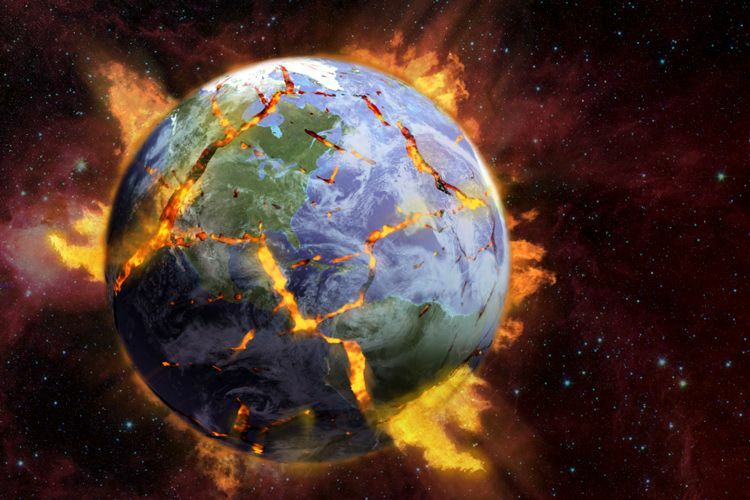 On the face of the earth there will be utter destruction. Nothing with a taint of sin will be left. 2 Peter 3:10 says, "both the earth and the works that are in it will be burned up.” Isaiah 47:14 describes this fire in the following way, "Behold, they [the wicked] shall be as stubble; the fire shall burn them; they shall not deliver themselves from the power of the flame: there shall not be a coal to warm at, nor fire to sit before it.” The fire will be so complete that it will burn itself out, not even leaving a glowing coal. According to science, fire needs three things to continue burning: fuel, oxygen, and heat. If any of those three are removed the fire goes out. The fires of hell will go out because, as we read in Isaiah, there will not even be left one coal of combustible material to keep the fires going. Why is hell and its destructive forces necessary? The cleansing fire brings about a complete eradication of sin. Ezekiel 28:18-19 speaks the following about Satan, "Therefore I brought fire from your midst; it devoured you, and I turned you to ashes upon the earth...And [you] shall be no more forever.” With Satan and all wickedness burned up the Bible says that sin and affliction will not ever arise a second time (Nahum 1:9). Have you considered the following? If people were tormented forever in hell how could all things be made new? Additionally, how could all tears be wiped away if you were saved and happily living in an earth recreated, but could still see loved ones burning in hell for eternity? Eternal life for you in heaven would be eternal torment as you continually saw those you loved in unending agony. How can I avoid hell? If you were an all-powerful God who ruled the universe how would you deal with sin? How would you remove pain and heartache fairly for eternity? God wants to destroy sin, but at the same time lovingly save the sinner. If we continue to hold on to sin we will be destroyed along with sin. If we let go and confess, sin alone will be destroyed. If sin is not completely eradicated it will infect every part of earth. There can be no peace with sin in existence. Let’s look again at Ezekiel 33:11, which says, "Say to them: 'As I live,' says the Lord God, 'I have no pleasure in the death of the wicked, but that the wicked turn from his way and live. Turn, turn from your evil ways! For why should you die, O house of Israel?’” God is calling you, not out of fear of hell, but out of love. 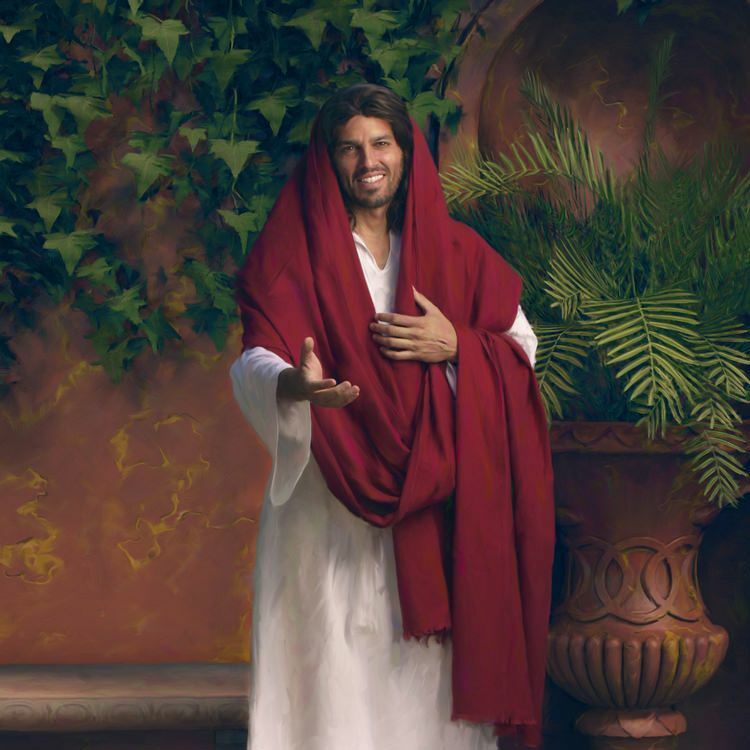 He is pleading with you to get rid of every sin in your life so some day you can enjoy an everlasting heavenly home where no pain or suffering exists. 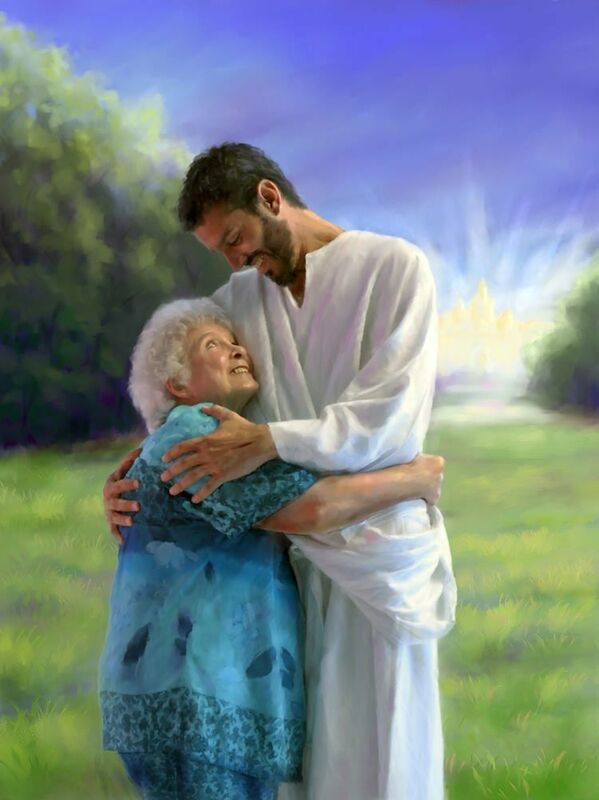 Why not listen to a fair, compassionate God who loves you and doesn’t want anyone to suffer, but come unto Him. Consider the following story. Imagine God as a loving compassionate surgeon. He loves each and every patient that comes into His office, but hates the disease that attacks them. Each day He lovingly treats each case. One day you come into God’s office with a case of gangrene. He loves you so much, but says He must make an amputation to save your life because of the spreading nature of the disease. If the gangrene is not removed the infection will consume you and eventually kill you. In the same way God must remove sin or it will consume the entire universe and destroy the happiness of His creation.